The Australian state of Victoria intends to introduce an 8% point of consumption (PoC) tax on wagers starting Jan. 1, 2019. This tax will be levied on all bets involving customers in Victoria regardless of where the gambling company is located. It will be charged on both in-person and online real money bets. Why a Point of Consumption Tax? Under the current Victorian gambling tax regime, the money owed to the authorities is determined based upon where the operator is located. This worked fine before the advent of the internet when both the betting firms and their customers were usually located in the same place. However, the rise of online race and sports betting means that there is significant gaming revenue derived from Victoria that isn't being taxed by the state. 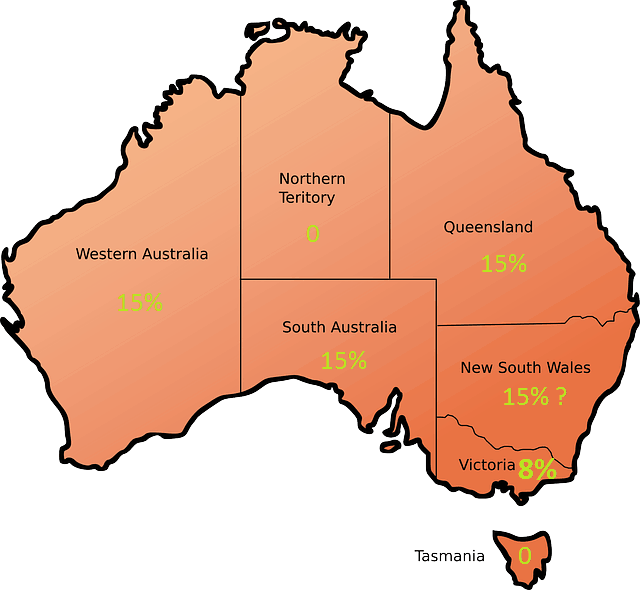 Many betting companies, like bet365, are licensed by the Northern Territory whose minimal levels of taxation and small licensing fees make it appealing both to Australian and foreign gambling enterprises. Of course, most of these organizations must also pay taxes to the jurisdictions in which their head offices are located, but many in Victoria feel that this isn't fair given the alleged social costs that the state's citizens incur in dealing with problem gaming. Because the PoC tax would be levied based upon the geographic location of the customers rather than the corporations, it would direct cash money into Victoria's coffers from the bets that its residents place. The PoC tax will apply to all pari-mutuel, fixed-odds, and betting exchange wagers whether offline or internet-based. The rate of 8% would be calculated on an organization's net wagering revenue, and betting shops will have to submit monthly estimates of their tax liability. Businesses with less than $1 million in net wagering revenue are exempt from the tax. Once a firm's annual revenues surpass this $1 million threshold, it will have to make monthly payments on its estimated tax obligations. A small portion of the taxes collected will be transferred to the Victorian racing industry. Most of it, however, will go to the Hospitals and Charities Fund. The tax is expected to bring in around $30 million per year. The 8% Point of Consumption tax is now official Victorian law. The measure passed through the upper chamber of the state legislature on Thursday, Sept. 20 on the final day of the legislative session. The new tax will be collected starting Jan. 1, 2019. Unusually, the text of the bill considers free bets and other promotional wagers to be identical to normal bets and thus subject to the 8% levy. Bookmakers are livid at this aspect of the law as it will penalize them for offering these promos to potential and existing customers. Some of the leading betting firms in the country have warned that they may revisit their level of support for Victoria's racing industry in the wake of this profit-reducing measure. South Australia has already implemented a PoC gambling tax while Western Australia will institute one in January. Queensland is expected to announce one shortly. All three of these states have set the tax rate at 15%. New South Wales is also exploring the possibility of enacting a 15% PoC tax although it is also weighing the merits of instead placing a 2% tax on total betting turnover. While all of these announced and proposed PoC taxes have set the rate at 15%, Victoria's figure is a mere 8%. Lawmakers were induced to keep the tax low so as to protect the existing gambling industry within the state. Bookmakers in general are against paying PoC taxes, and this is especially true of those licensed in the Northern Territory with its trivial level of regulatory overhead. It's widely believe that it was lobbying by these groups that was responsible for Victoria's selection of 8% rather than the 15% tax imposed in several other Australian jurisdictions. The big winner of the Victorian PoC tax debate appears to be Tabcorp, which holds a near-monopoly on brick-and-mortar wagering inside the state. At the present time, it remits 6.5% of its revenue to the government, so it would see its effective tax rate go up slightly. Nevertheless, its online competitors are in for a much greater tax bill than what they're currently paying, and so the Melbourne-headquartered firm stands to enhance its competitive position. Tabcorp certainly carries enough weight that it could very well have made its presence known in the behind-the-scenes negotiations surrounding the PoC tax. It had more than $2.2 billion in annual revenues in 2017. Its giant size perhaps contributes to a feeling among certain of its officers that the normal rules don't apply to their operations. In 2017, the corporation had to pay a whopping $45 million fine for violating Australian anti-money laundering laws. In 2018, Tabcorp U.K. subsidiary Sunbets was penalized for irregularities in its risk assessment and failure to adhere to responsible gambling guidelines. Online betting providers that faithfully service the Land Down Under have recently seen their plans upset by several unfavourable developments. In March, the Australian Communications and Media Authority promulgated new rules that prevented most gambling advertising during live broadcasts of sporting events. This followed the passage in August 2017 of the Interactive Gambling Amendment Bill, which effectively banned online poker and casino games, two very lucrative cross-channel products for sports-betting companies. The thinking behind these restrictions is that people must be protected from themselves, quite a paternalistic view in a liberal, Western democracy like Australia. It's even more objectionable when we consider that pokies and lottery products are widely available, and they fleece gamblers to a much greater extent than online sports-betting, casino gaming, and poker playing do. It's no wonder that leading online gaming providers, like Pinnacle, Intertops, and TigerGaming, have ceased welcoming Australians to their betting platforms. They must have performed comprehensive analyses of the Australian legal and legislative landscape and concluded that it was not worth their time or money to bother with the heavily regulated AUS betting market. As strict as the environment for Australian online gambling is, Oz isn't the only part of the world to disincentivize what it sees as unwanted wagering activity. Indeed, the United Kingdom was a forerunner in the area of point of consumption taxes, having introduced them to its regulated gambling scene in 2014. Recent decisions by the U.K. oversight bodies have become frequently silly and ridiculous as well, like the April ruling that a PokerStars TV spot promoted reckless gambling, a claim that we found to be totally without merit. It's almost as if they're just looking for problems to investigate. China has banned all poker apps, including those for play money. In a similar March decision, a U.S. court found that play chip casino gaming violates the laws of the State of Washington. It's not just big, powerful countries that are attempting to flex their muscle in the online gambling sphere. Even tiny Uruguay has been blocking offshore gaming websites for a couple of months now. As the regulated Australian online wagering ecosystem becomes more and more constricted, many entities are reducing their exposure or even abandoning the country altogether. Nevertheless, there remain plenty of offshore organizations that are more than happy to serve Aussie customers. They don't worry about the cumbersome restrictions placed on legalized betting outfits because they have elected to ignore the anti-freedom laws drafted by the busybodies in Canberra and Melbourne. You see, they're all headquartered outside the country, and they don't really fear any legal persecution as long as they take the precaution of not having their executives ever step foot on Australian soil. You don't have to worry about the law either as an individual bettor because these statutes penalize only the operators, not the everyday punter. If you're looking to bet online on athletic competitions, then we urge you to open up an account at Nitrogen Sports. This is one of the most well-respected Bitcoin bookmakers around, and the vigorish it charges on its lines is very low. It also has an attached casino and poker room, so you can conduct all your betting at one place. Read our Nitrogen Sports review for all the details. If you seek bustling poker and casino action, then Ignition Casino may perhaps be a better fit for you. It has the largest traffic of any poker room still open to AUS users, and its casino contains more than 250 titles. The downside is that there's no sportsbook here, so you can't put your money down on the results of sporting matches. Consult our Ignition Casino and poker room review page for more information. For a broader overview of the online betting landscape for Australians, especially as it relates to card games, check out our Australia online poker guide.